WASHINGTON - The Senate approved a bill Monday to bar a former hostage-taker tapped to be Iran's ambassador to the United Nations from entering the United States. By voice vote, Republicans and Democrats united behind the legislation sponsored by Sen. Ted Cruz, R-Texas, that reflected congressional animosity toward Tehran and its selection of Hamid Aboutalebi. Iran's envoy choice was a member of a Muslim student group that held 52 Americans hostage for 444 days in the 1979 seizure of the U.S. Embassy in Tehran. The "nomination is a deliberate and unambiguous insult to the United States," Cruz said in remarks on the Senate floor in which he described Iran's anti-Americanism since 1979 and added, "This is not the moment for diplomatic niceties." Iran's foreign ministry said on Tuesday that it's still waiting for Washington's formal response on Tehran's pick for its new U.N. envoy, a day after American lawmakers voted to bar the diplomat from entering the country. Iranian foreign ministry spokeswoman Marzieh Afkham said Tehran does not consider the matter fully decided for now. "We think the process is running its diplomatic course and until we receive a formal response from official channels, we do not consider the matter finished. We only recognize a formal response from official and diplomatic channels," she said. Afkham said the ministry had communicated with "relevant U.S. officials" following moderate President Hassan Rouhani's nomination of Aboutalebi. "We continue our follow-up through diplomatic channels," she said. Cruz's Senate bill would deny entry to the United States to an individual found to be engaged in espionage, terrorism or a threat to national security. Cruz had proposed legislation last week to deny visas to a U.N. applicant if the president determines the individual has engaged in terrorist activity. He modified his measure, though it was unclear what entity such as an international court would determine an individual's standing. Cruz won the tacit support of Sen. Chuck Schumer, D-N.Y., for his legislation. The two shook hands on the Senate floor, a rare bit of bipartisanship for Cruz, a tea party stalwart, and the No. 3 Democrat in the Senate. "It may be a case of strange bedfellows, but I'm glad Sen. Cruz and I were able to work out a bill that would prevent this terrorist from stepping foot on American soil," Schumer said in a statement. "We ought to close the door on him, and others like him, before he even comes to the United States, and that's exactly what this bill will do." Last week, Cruz questioned the wisdom of holding talks with the Iranian government about its nuclear program in light of Iran's choice for ambassador. The United States has objected to Iran's anticipated selection of Aboutalebi, but the Obama administration stopped short last week of saying it would refuse him a visa to enter the United States. The State Department said it had raised the issue with Tehran. Hamid Babaei, a spokesman for Iran's Mission to the United Nations, said last week, "It has been a usual practice in the Iranian Foreign Ministry to formally announce and appoint ambassadors - to all foreign postings - once all the formalities are completed." Aboutalebi reportedly has insisted that his involvement in the group Muslim Students Following the Imam's Line was limited to translation and negotiation. 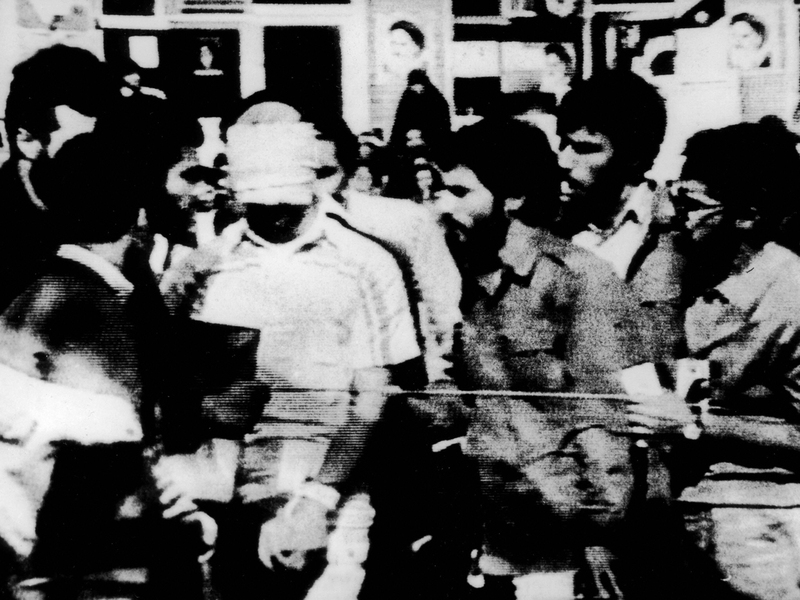 For many senior political figures in present-day Iran, the 444-day hostage crisis was a watershed moment. It thrust them into the world spotlight and still carries considerable political currency within Iran, but also shows the broad spectrum of views within the country since the Islamic Revolution. Some Iranians who were closely linked to the U.S. Embassy seizure later moderated their views toward outreach to the U.S. and the West. Prospects for the bill in the House were unclear, although the measure was likely to garner strong support.